The top Russian antivirus software creator insists that it will continue to work in China, despite reports that its products have been outlawed by Chinese authorities. Kaspersky, one of the world's top antivirus software products, will continue to be available in China, despite reports that the Chinese authorities have banned it. 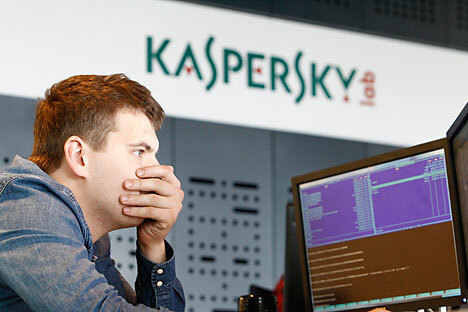 "Contrary to some media reports, there has been no confirmation that the Chinese government has banned the use of Kaspersky Lab products in the country," the Kaspersky Lab press service told RIR. According to the company, as of August 5 the Chinese Central Government Procurement Centre has temporarily suspended authorisation for computer protection products from foreign vendors, thus leaving only Chinese companies in the list of permitted vendors. However, this restriction only applies to national institutions that are funded by the central government, and does not apply to regional authorities or large enterprises. A report that the Chinese authorities have expelled the U.S.-based Symantec Corporation and Russia’s Kaspersky Lab from the list of approved suppliers of antivirus software for government agencies was made public on August 4 by Bloomberg, which cited its own sources. "We are engaged in a thorough examination of this issue and are negotiating with representatives of the Chinese authorities. It would be premature to go into any detail and make any predictions," said Kaspersky Lab in a statement. Meanwhile, Symantec announced in a press release on August 5 that its products can still be sold to the Chinese government. However, despite these statements, Kaspersky Lab and Symantec have not been included in the list of approved manufacturers of antivirus products which are controlled by the Chinese government’s procurement agency. According to Reuters, the companies Qihoo 360 Technology Co, Venustech, CAJinchen, Beijing Jiangmin and Rising all remain on the list. Furthermore, products by Microsoft have been excluded from the list of software products approved for public procurement, while Chinese government media have accused Google and Apple of collaborating with U.S. intelligence. The Chinese market is very important for Kaspersky Lab. The company’s Kaspersky Anti-Virus product currently protects more than 300 million users in 200 countries. With revenues of $667 million, the Russian firm is the fourth largest antivirus company in the world. However, over the last 5 years, the rate of growth in Kaspersky Lab’s revenues has begun to decline. “Kaspersky Lab has always complied with all legal requirements of the countries where the company’s business is conducted, including China," says the Kaspersky Lab press service. In particular, the company provides expert support to the Chinese authorities in the investigation of cyber-crimes. According to Timur Nigmatullin, an analyst at Investcafe, some governments have begun to impose restrictions on the operation of foreign manufacturers after the cyber attack carried out on Iranian nuclear facilities in 2010, and have been especially tightened up in the wake of the revelations by American former NSA agent-turned-whistleblower Edward Snowden. "The official pretext for these decisions was statements made by the industry regulator concerning the potential vulnerability of software by these companies,” says Maxim Klyagin, an analyst at Finam Management. Simply a matter of protectionism? “However, it is quite possible to assume that this is a purely formal explanation. It cannot be ruled out that this is a matter of protectionism," he adds. The main motivation in this case, he says, may be a desire by the authorities to stimulate demand for products from domestic producers. Anna Milostnova, an analyst at UFS IC, notes that the case in question is a matter of protectionist measures by China to support the country's own companies. "This practice is not new and is quite understandable. Recent examples include the ban on the import of game consoles into China, which was in effect for several years and did not allow such giants as Sony, Nintendo and Microsoft to enter the Chinese market at that time," says Milostnova. According to her, that ban was lifted as recently as at the beginning of 2014. Moreover, similar protectionist measures may be imposed in Russia as well. "We can cite, as an example, statements by Russian members of parliament to ban the purchase of foreign goods and services by state-owned and municipal agencies that manage public funds," she said.